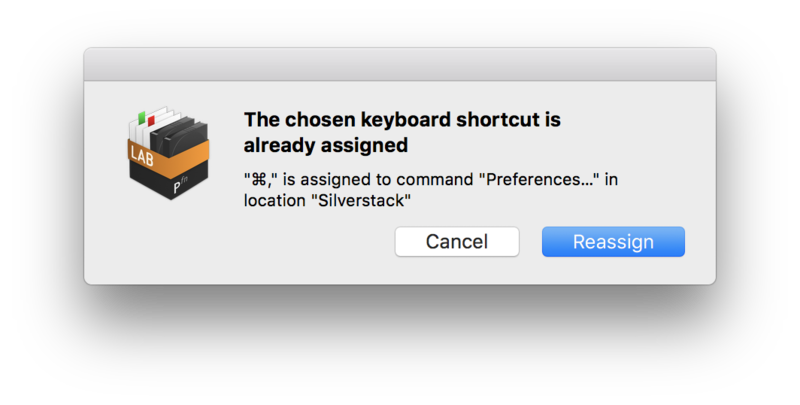 There are a variety of keyboard shortcuts available for commands in the main menu of Silverstack. Shortcuts can help greatly in boosting your productivity. Many shortcuts are already predefined. You can also set shortcuts for selected commands that you perform quite often and that do not hold default shortcuts in order to memorize the interaction with Silverstack more easily. 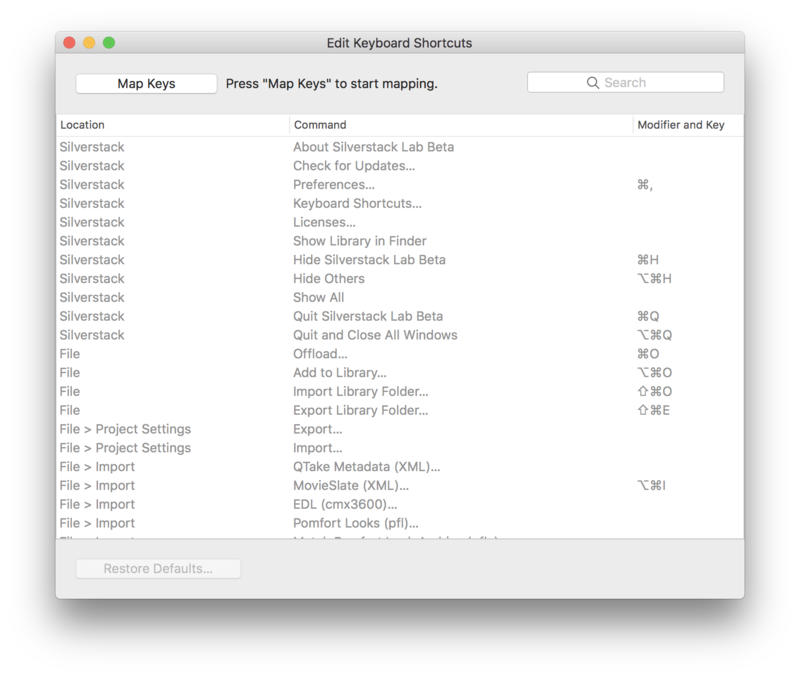 To inspect the exact list of available keyboard shortcuts go to Silverstack > Keyboard Shortcuts… . This will open the Keyboard Shortcuts Editor (figure 1). The keyboard shortcut editor shows a table with a list of all actions in the main menu and their currently set keyboard shortcut. You can search the list by typing into the search bar on top of the table. 1. Select “Map Keys” to allow changes on the key mapping list. 2. Choose the row with the command. 3. To set or modify a shortcut press the key or keys to use as the new keyboard shortcut. You can use modifiers, numbers, letters and characters individually or in combination. 4. To remove the associated shortcut permanently press ⌫ (delete / backspace) button. 5. Close the Edit Keyboard Shortcuts window when you are done. If you choose a shortcut already assigned to a command, a warning dialog box will be displayed that shows which command already used the chosen shortcut. Select “Cancel” and choose another key for your current command, or select “Reassign” which removes the shortcut from the old command and sets it for the selected command (figure 2). You can reset all keyboard shortcuts to latest version default by clicking “Restore Defaults…”. Note : Both of these steps executes an automatic restart.